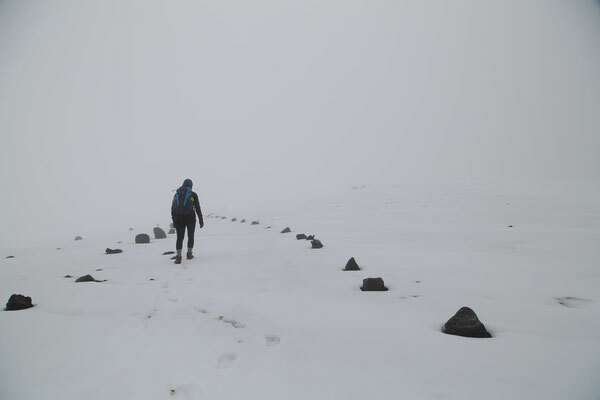 Reserva de Producción Faunistica Chimborazo - Climbing up to 5000m! 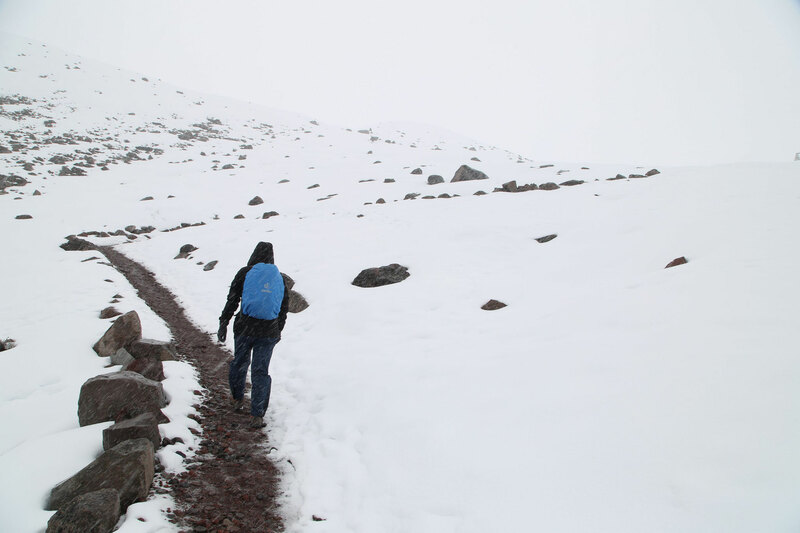 The Andes are a perfect place for hiking and to face new altitudes. 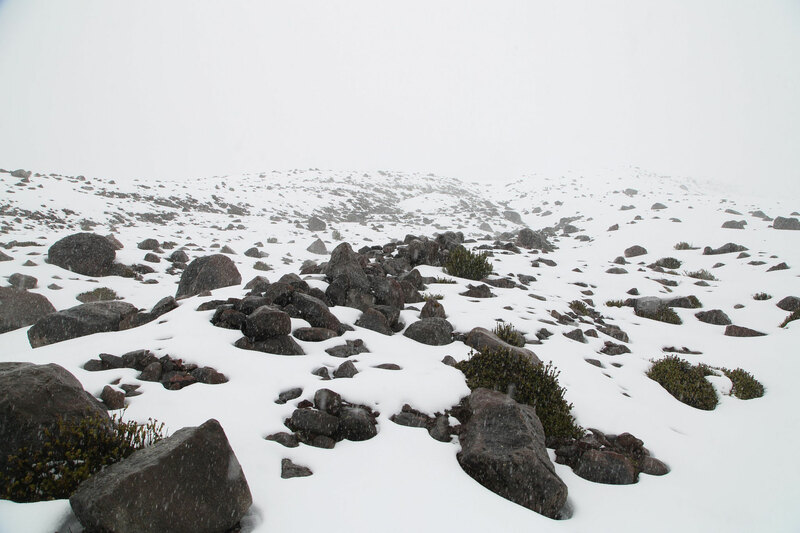 where we went up to 4200 meters above sea level. 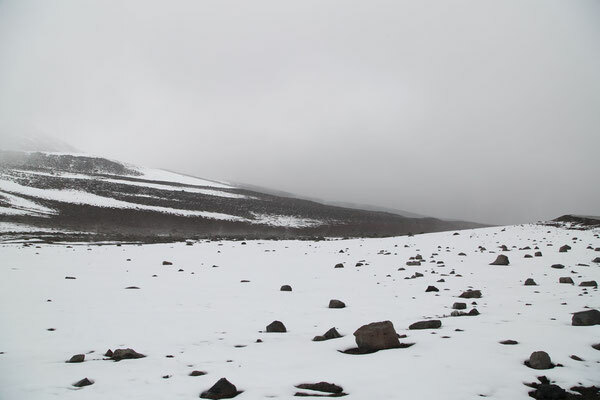 In Riobamba, we were close to the inactive volcano Chimborazo. 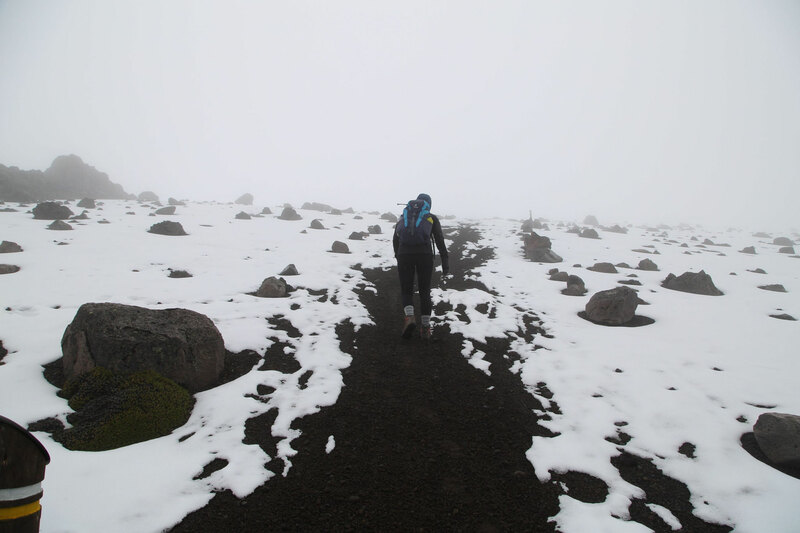 With 6263 meters above sealevel, this volcano is the highest mountain of Ecuador and because it is located close to the equator, the summit of the Chimborazo is as well farthest point from the Earth center on the Earth's surface. This means that the summit is farther away from the Earth center than the summit of the Mount Everst. 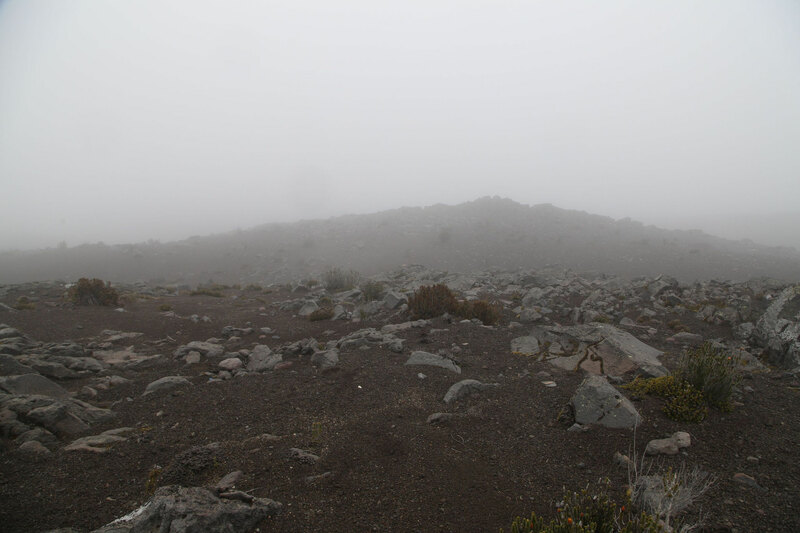 On the top of the volcano is a glacier which arms are flowing down to 4600m. 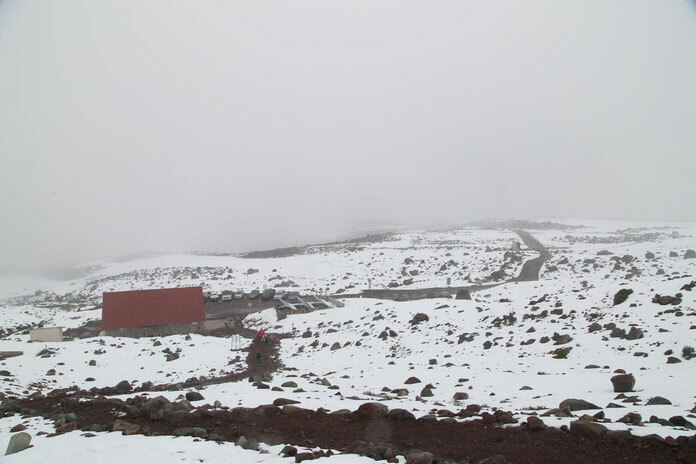 We started early in Riobamba and took a bus which brought us up to 4300m above sea level, already a new personal record! 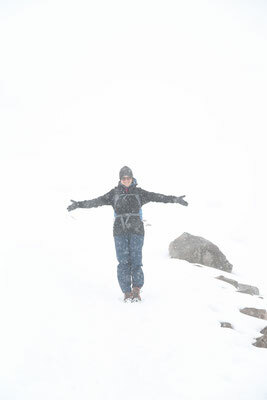 The air was thin and the weather wasn't the best for hiking. Freezing rain, fog and snow made the trip more difficult. On target was the first refuge at 4800m. 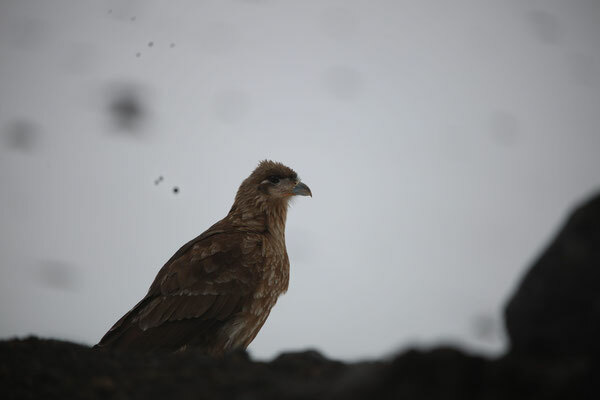 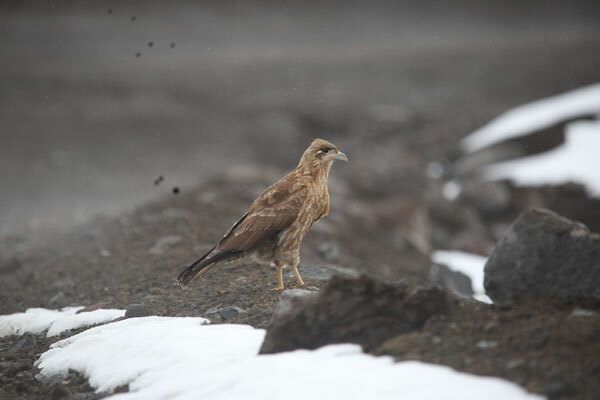 The Ecuadorian Hillstar, Carcunlated Caracara and Vicuñas, a cousin of the Llamas and Alpacas. 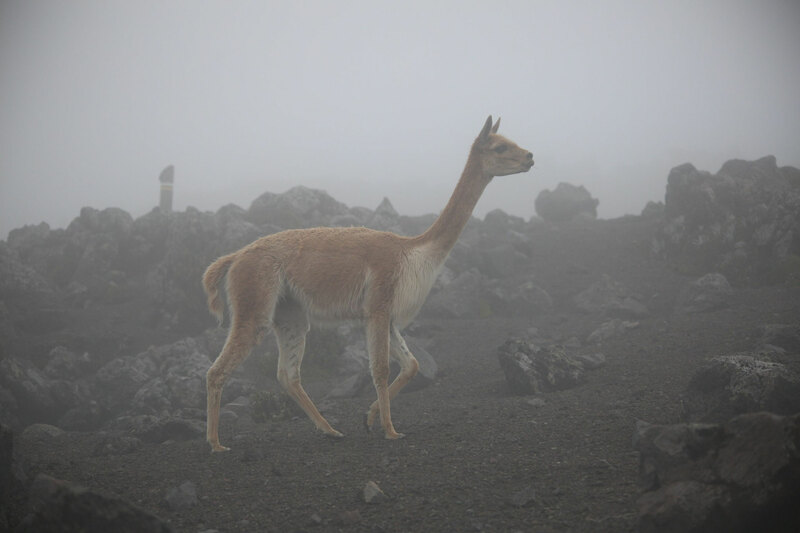 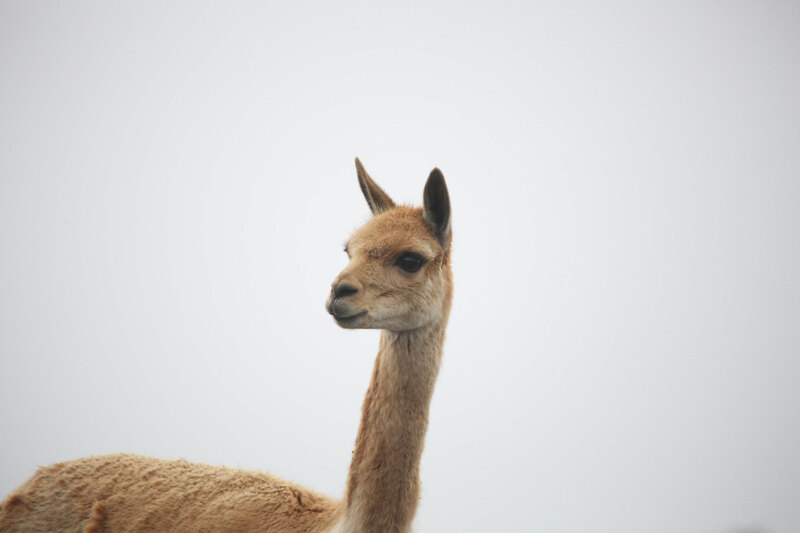 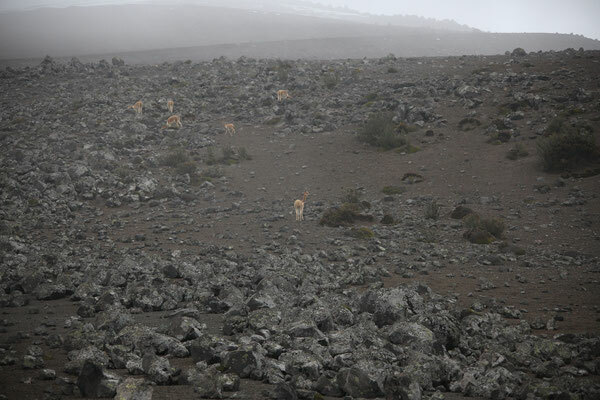 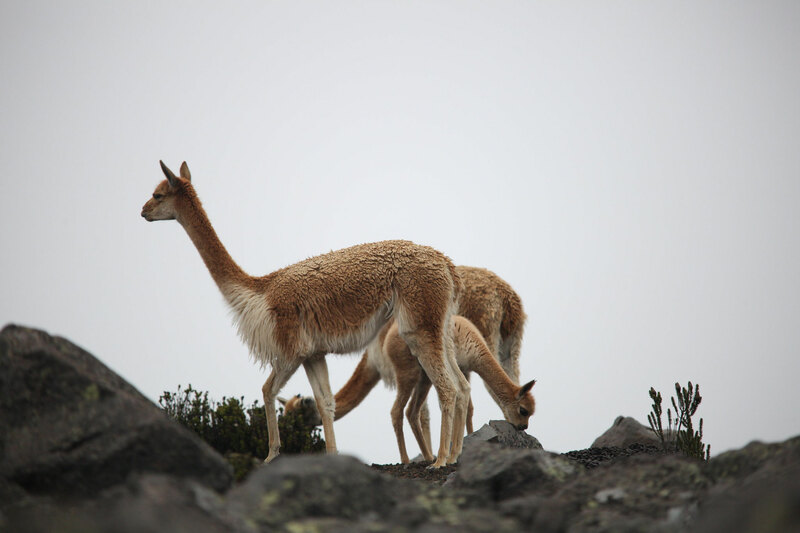 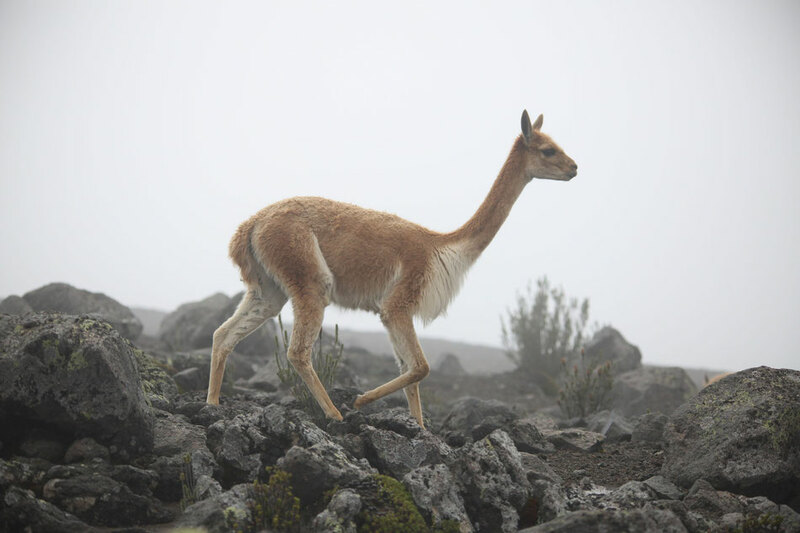 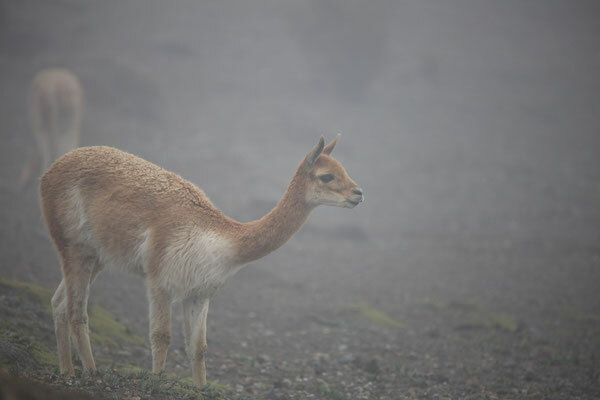 The Vicuñas are one of the two wild camelids which live in the Andes of South America. 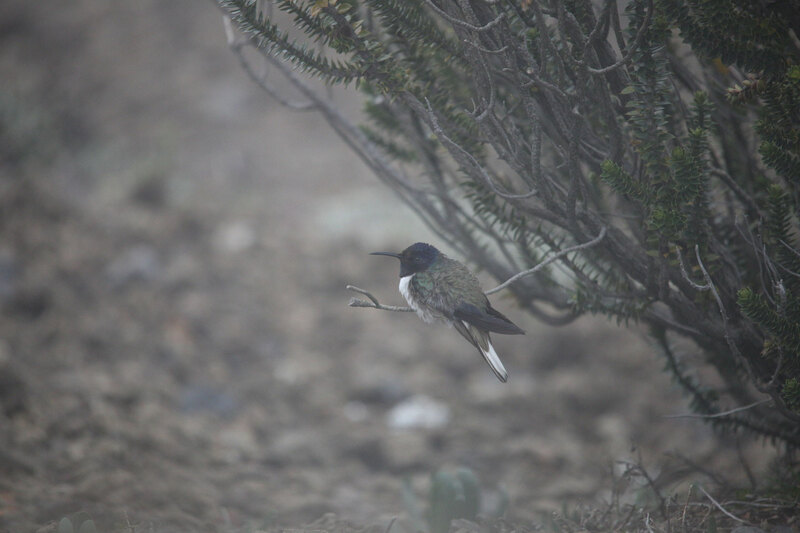 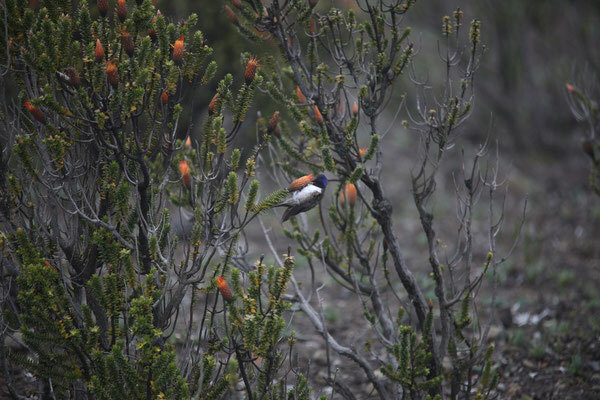 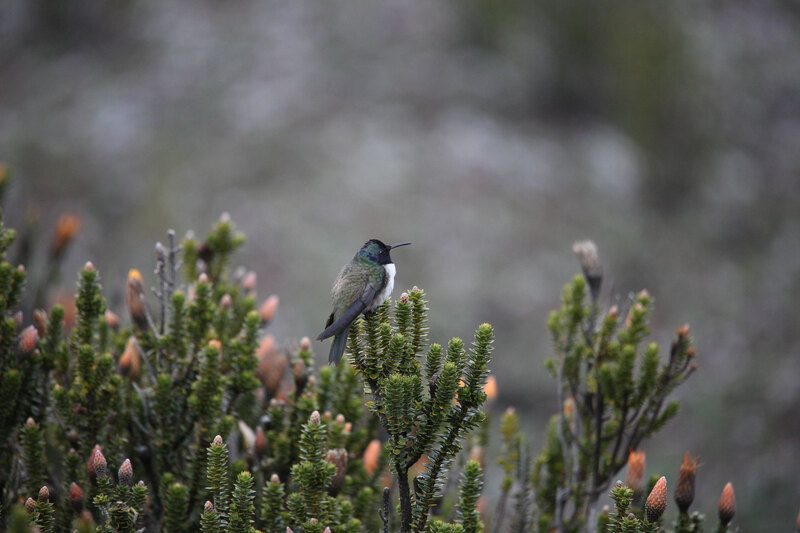 Their natural habitat is in the peruvian mountains. 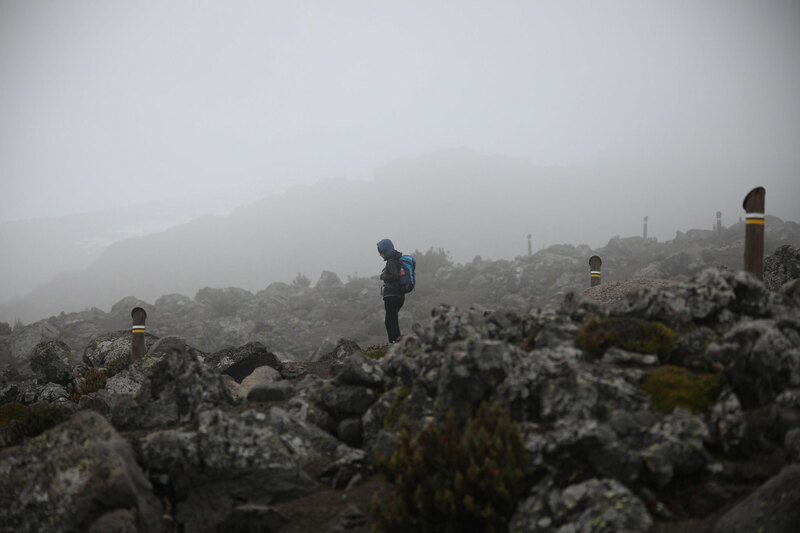 We reached the first refuge without any problems and were proud of ourselves. 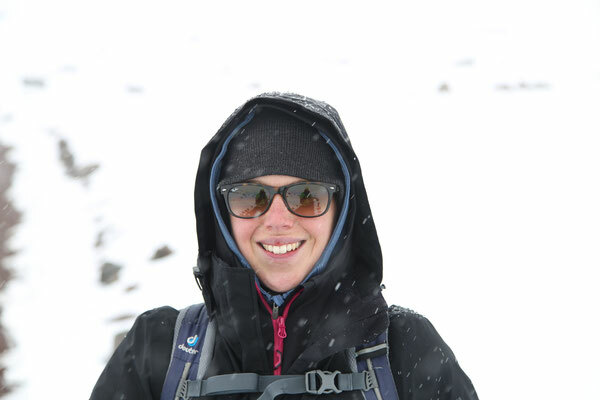 After a hot chocolate and tea we were motivated to climb up to the second refuge "Whymper" at 5000m, only one kilometer away. 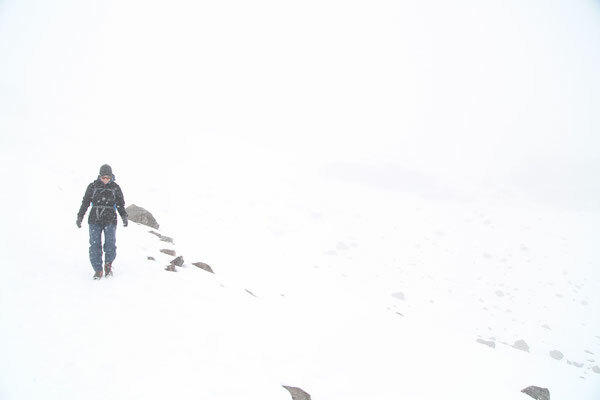 The last part wasn't easy. 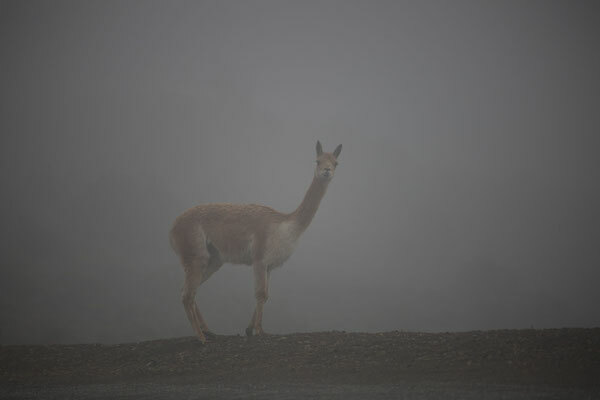 The oxygen in the air is about 50% less than at sealevel and it's difficult to breath. 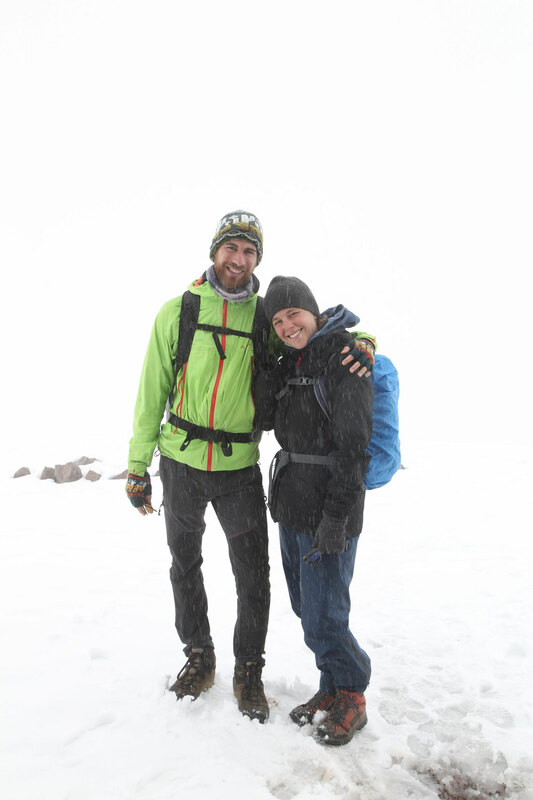 We reached the 5000 meters above sea level and have a new personal record!